The craze over tiny houses has not only become a social movement but a life philosophy. Millions of people are giving up their traditional American home for a unique tiny home. The typical American house is around 2600 square feet. 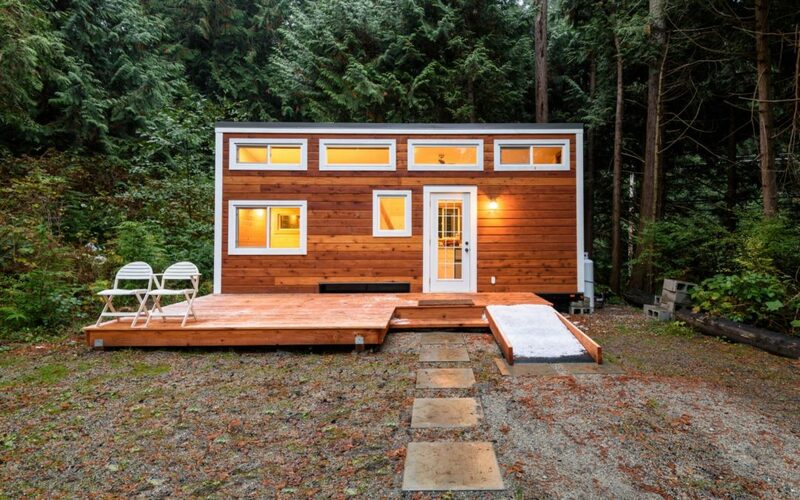 The characteristic tiny home is only 100 – 400 square feet! Why is this such an attractive adventure? Those who have chosen to adopt the lifestyle say that they “live bigger in a tiny house”. Tiny house living offers a new type of financial freedom, the ability to live in some pretty unique places, and the chance to be mobile on a whim if desired. These are hands down the top reasons people are opting for the drastic lifestyle change. The liberty of mobile living could ultimately be enough in and of itself for many to change over. While many tiny homes are built on a permanent foundation of sorts, many elect to build their tiny house on trailers or flat beds so they can pick up and move whenever they want. The miniature movement is not just about downsizing but creating the tiny house with the most bells, whistles, and character. Over the past few years some of the ideas that tiny homeowners and builders have come up with are amazing. This has included using reclaimed wood to create everything from the entire house to smaller areas of the tiny dwellings. The creativity of these homes is beyond your wildest imagination. Reclaimed wood is used for the structure, walls, floors, ceilings, paneling, cupboards and cabinets, and furniture. One of the most unique uses was created by one tiny homeowner who took the ends off of reclaimed timbers and used them in a brick like fashion for an amazing sturdy and long-lasting floor. For those who elect to have a permanent tiny home, many have used reclaimed wood to extend their tiny space outside creating amazing outdoor living areas. This does not stop at porches and decks but includes complete outdoor kitchens. Using reclaimed wood to build a tiny house is not only a growing part of the overall trend but gives homeowners another sense of satisfaction because they are using eco-friendly materials. For many tiny homeowners living off the land and caring for the environment is a must and reclaimed wood fits the bill. When building a tiny home with reclaimed wood the possibilities are endless. Believe it or not many of these reclaimed wood tiny houses do not even have electricity. There are those who prefer not to be quite this rustic and their tiny houses are powered by solar power. If you are interested in your own tiny house there are two ways to go. There are now up and coming companies that are pre-fabricating tiny homes with reclaimed wood. However, if you want to be completely hands-on and build it yourself, you can forage for your own reclaimed wood and really make a statement. If you have not had the chance to experience a tiny home in person, scour the internet and youtube and take part in an abundance of tiny home tours!